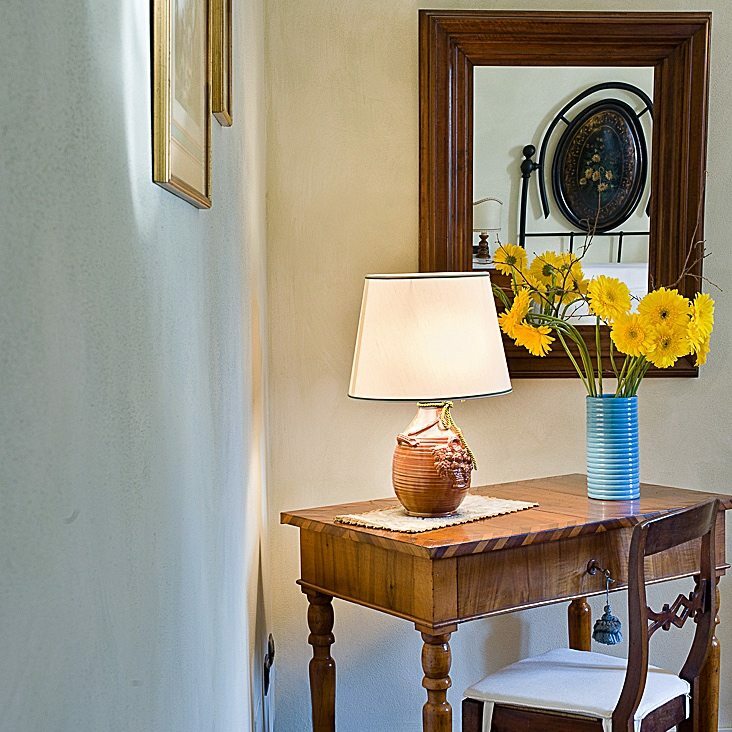 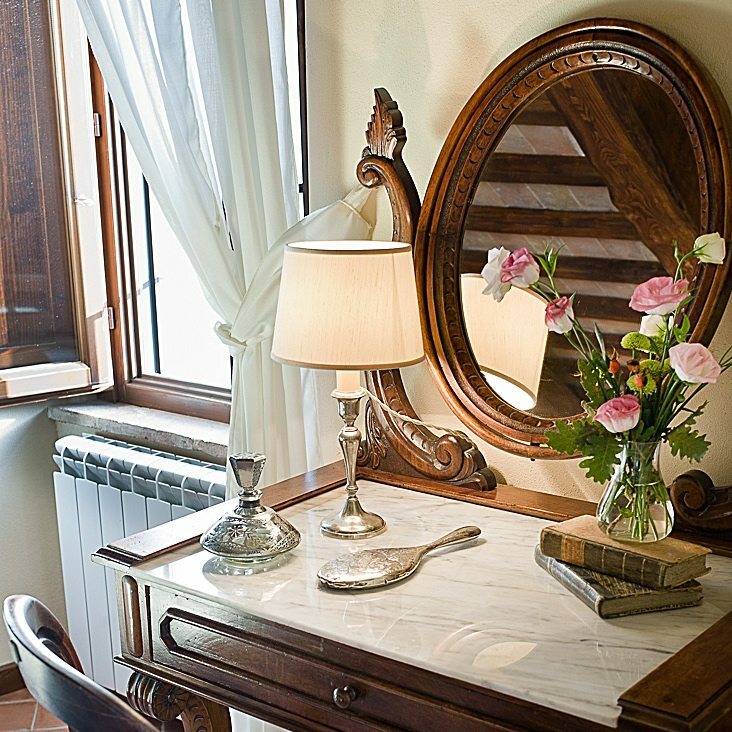 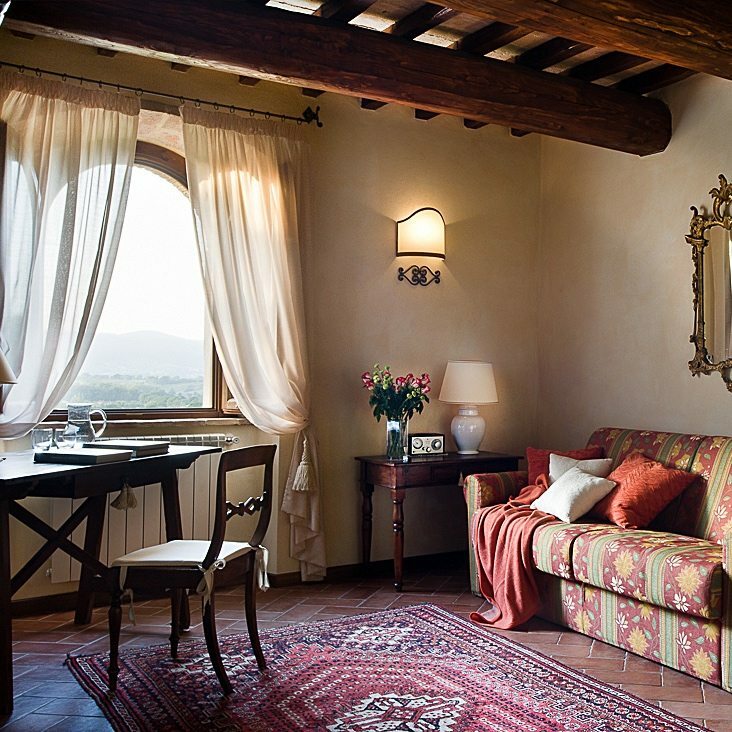 The seven romantic rooms and the Suite are all enriched by antique furniture and elegant details, offering spectacular views over Narni and the surrounding gardens and estate. 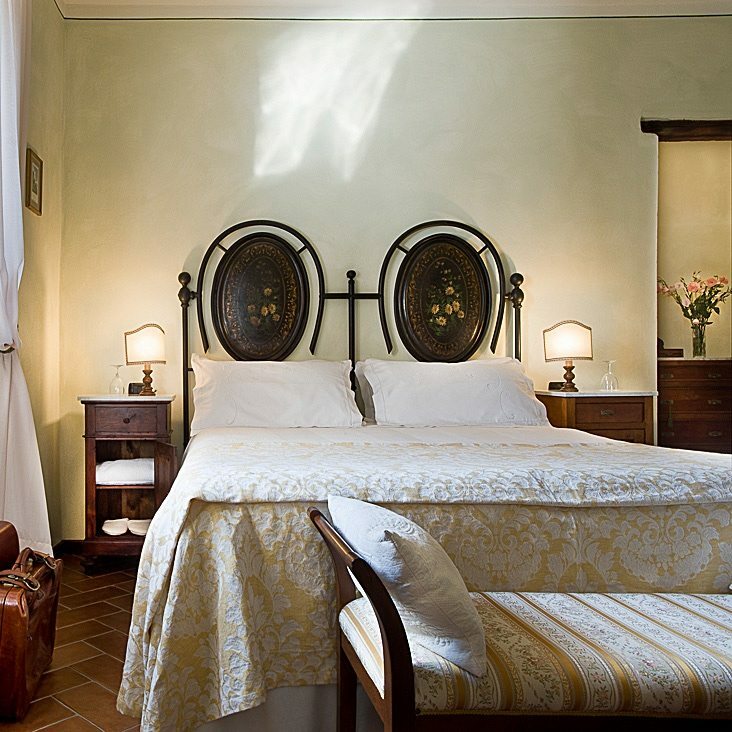 Every room is uniquely appointed, with many visible elements of the original architecture, making the stay in each of them a unique and special experience. 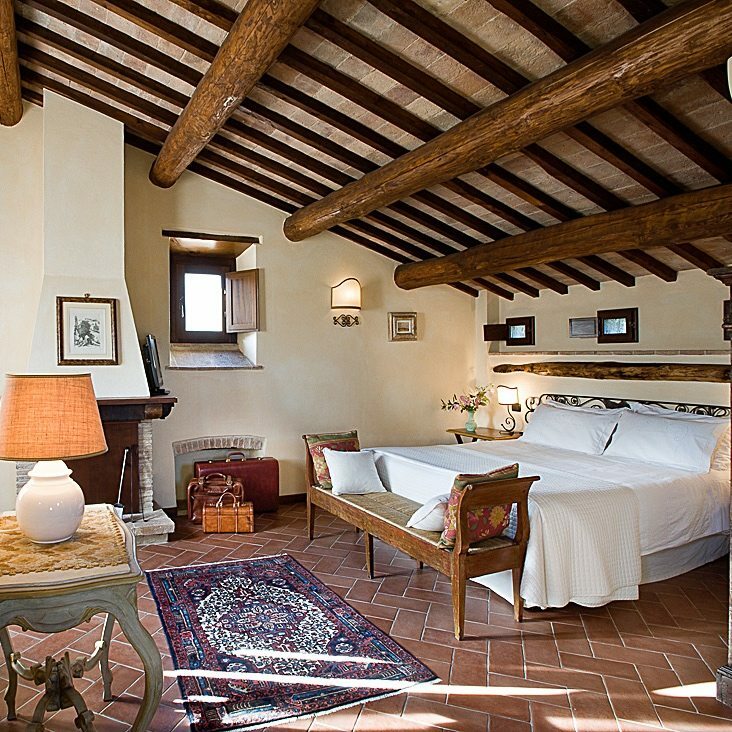 This is the most charming and romantic of our rooms…the beautiful Suite is located in the oldest and highest part of the Villa, in the original “Dove Tower”. 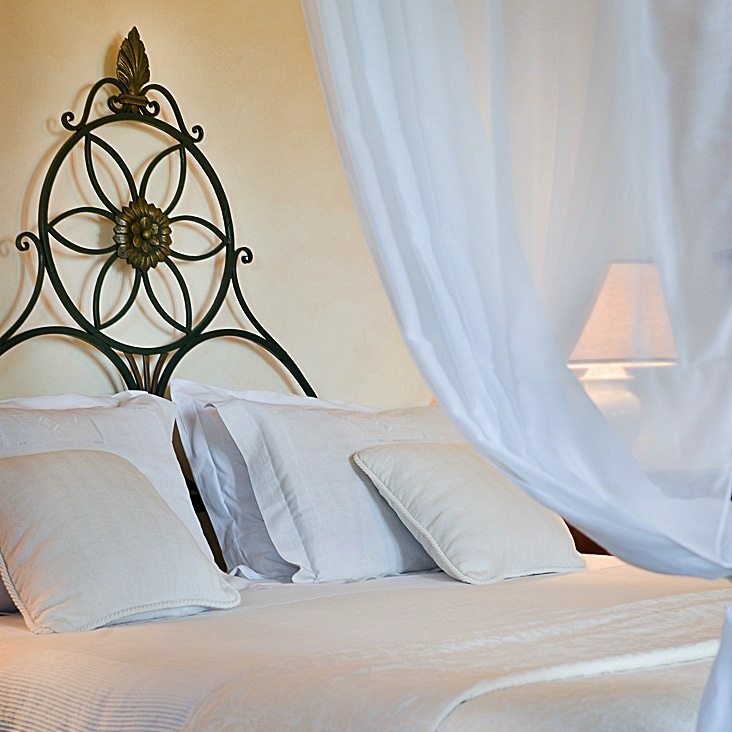 La Colombaia is very spacious, is split on two levels, with two bathrooms and a beautiful small and intimate terrace overlooking the entire estate. 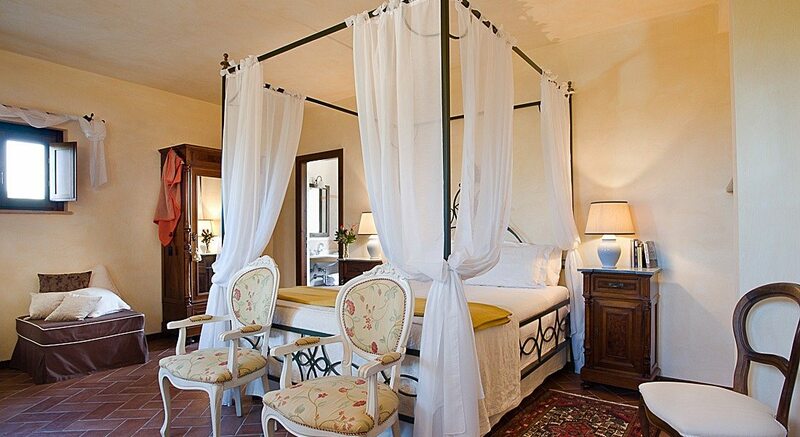 It can accommodate up to four guests. 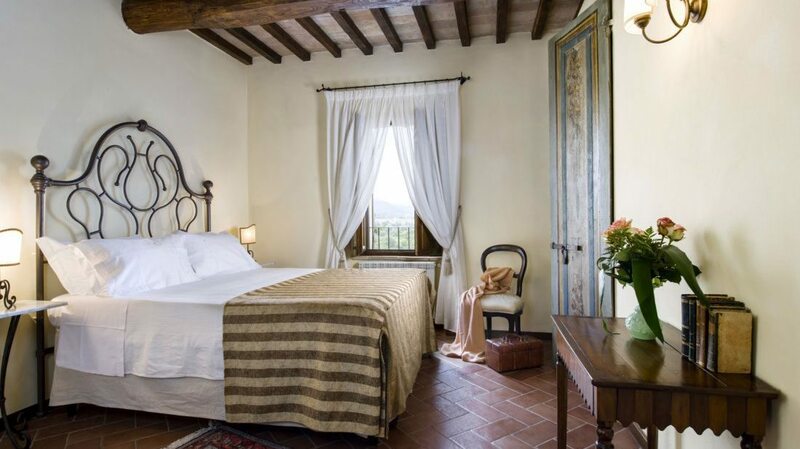 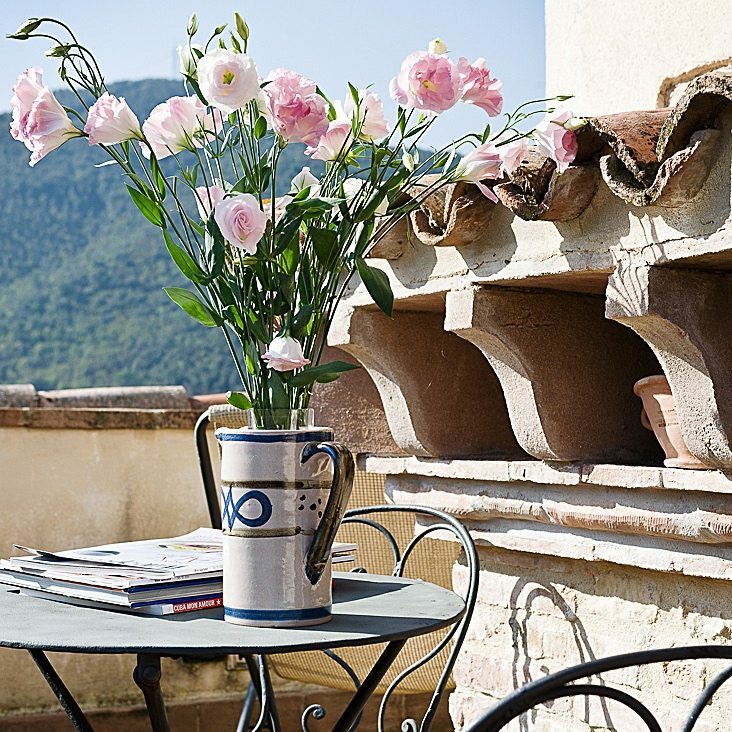 “Il Barbacane” and “Il Rosone” are spacious and elegant rooms, both located on the second floor of the Villa, offering sweeping views of the gardens. 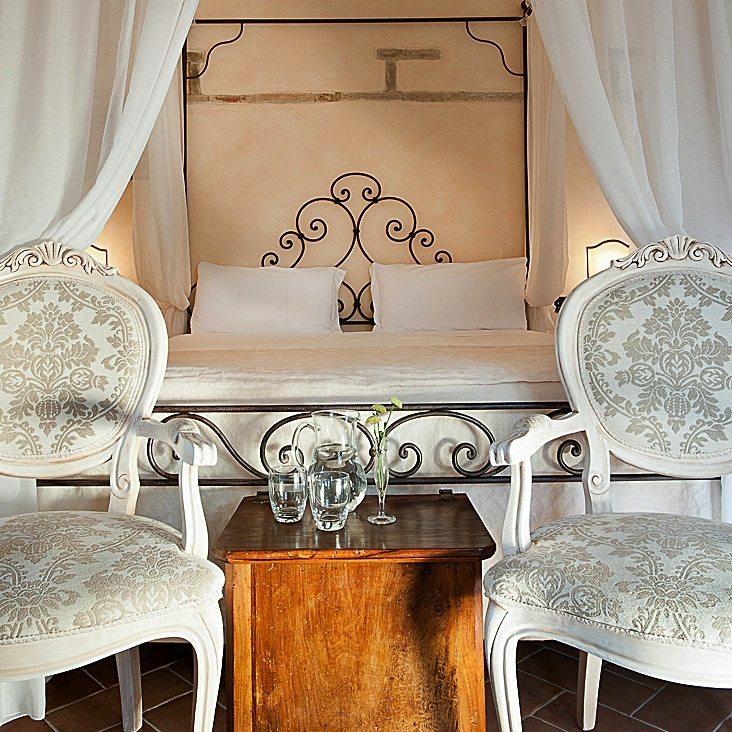 Both rooms have extremely comfortable and romantic four-poster beds, are tastefully decorated and have A/C for the warmer months. 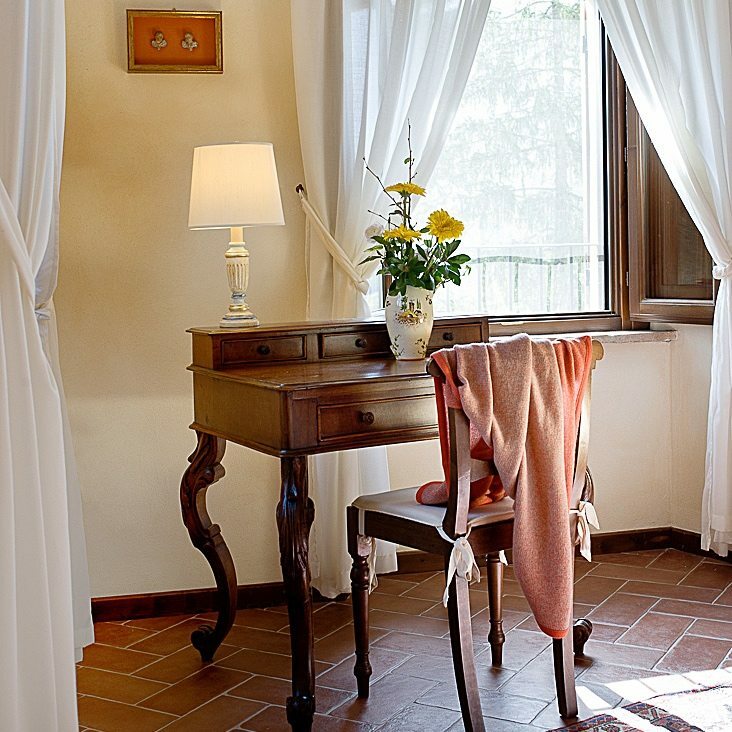 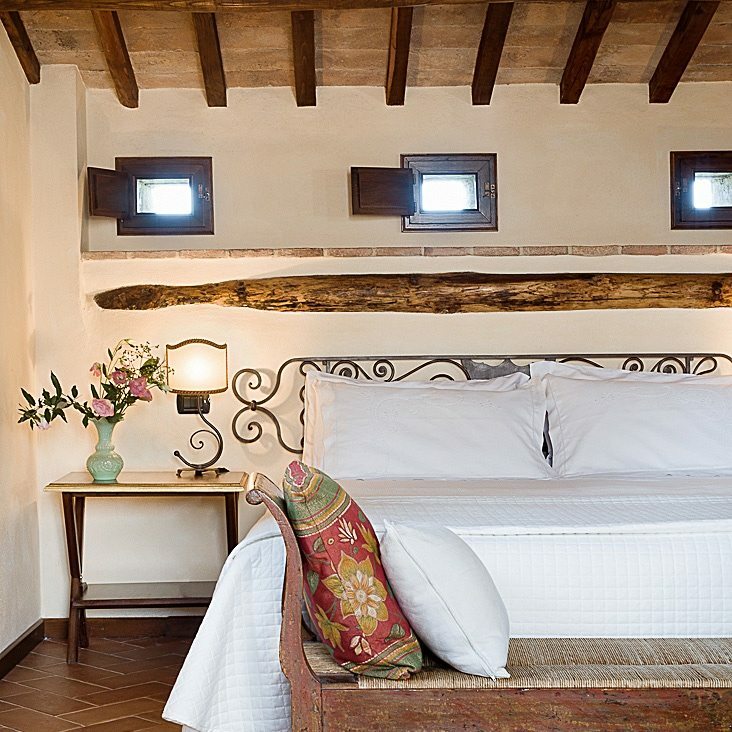 “Il Tiglio” e “La Pergola” are two beautiful and spacious rooms located on the first floor of the Villa, making them more easily accessible and can be connected with each other. 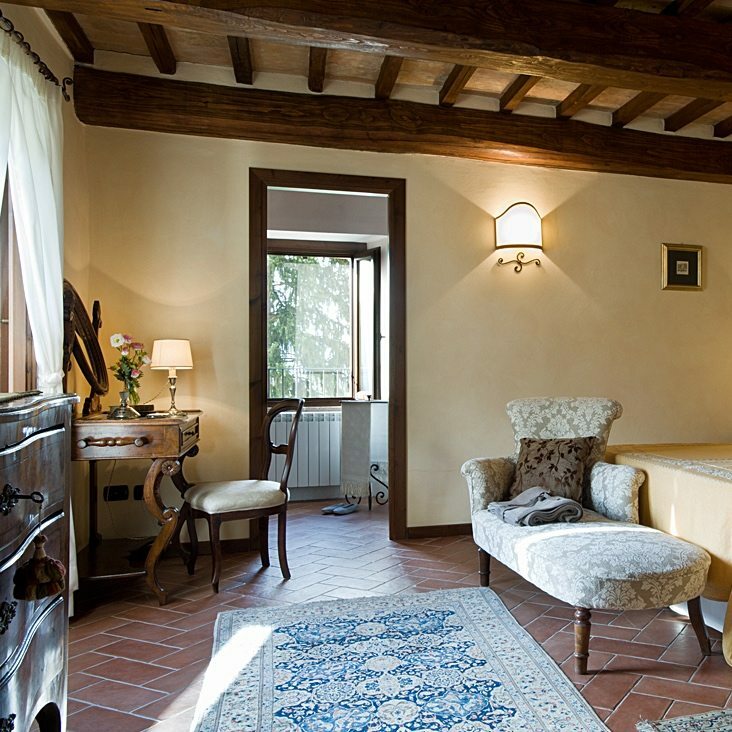 Both have stunning original beamed ceilings and are decorated with refined details and are equipped with a new ventilation system. 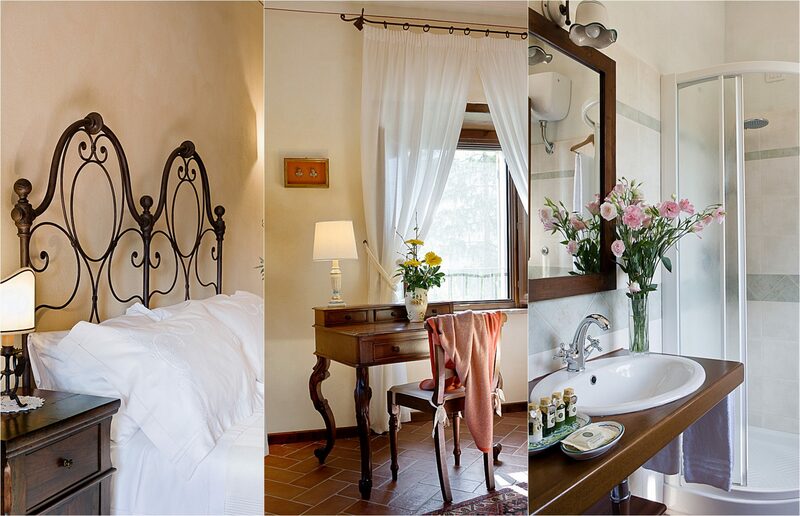 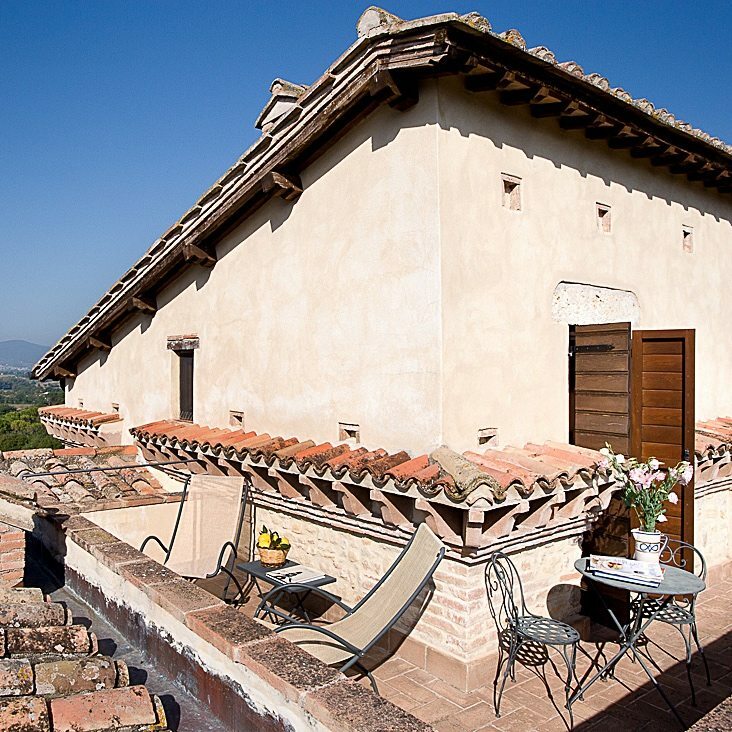 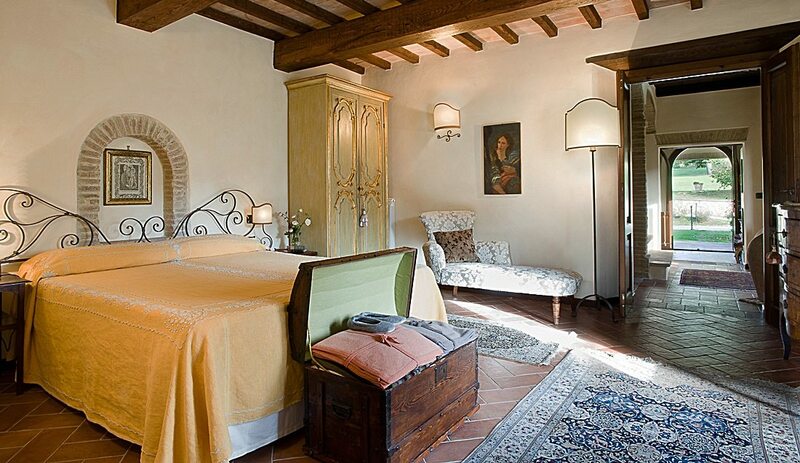 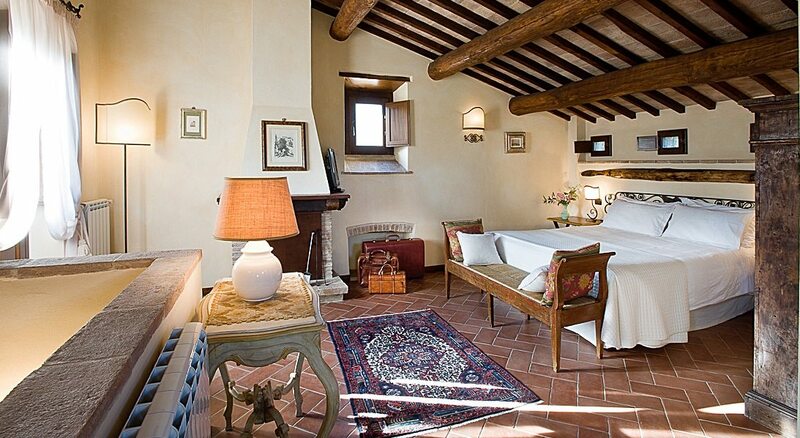 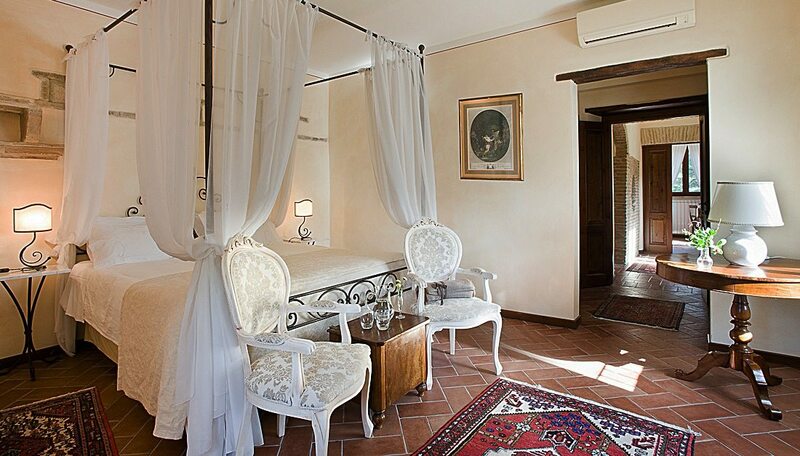 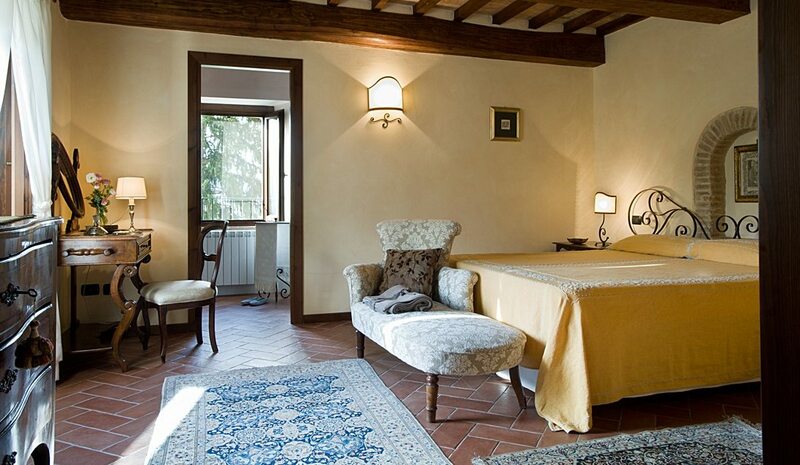 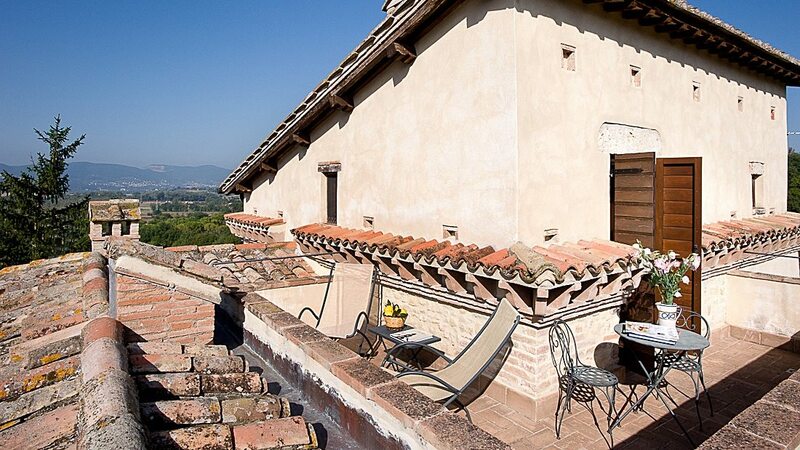 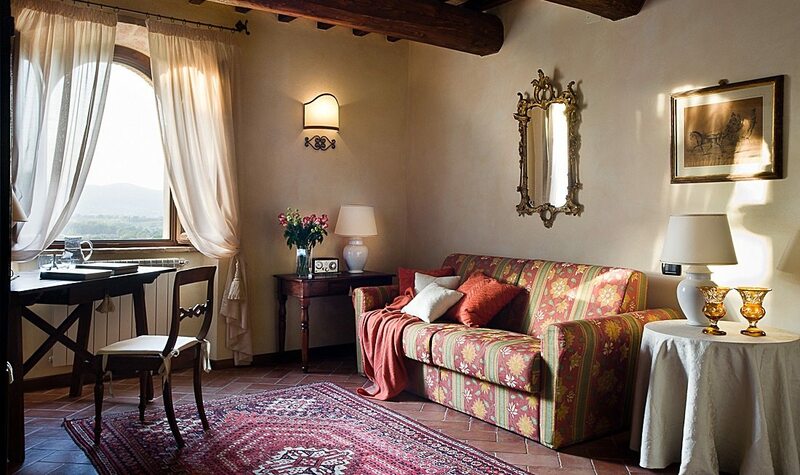 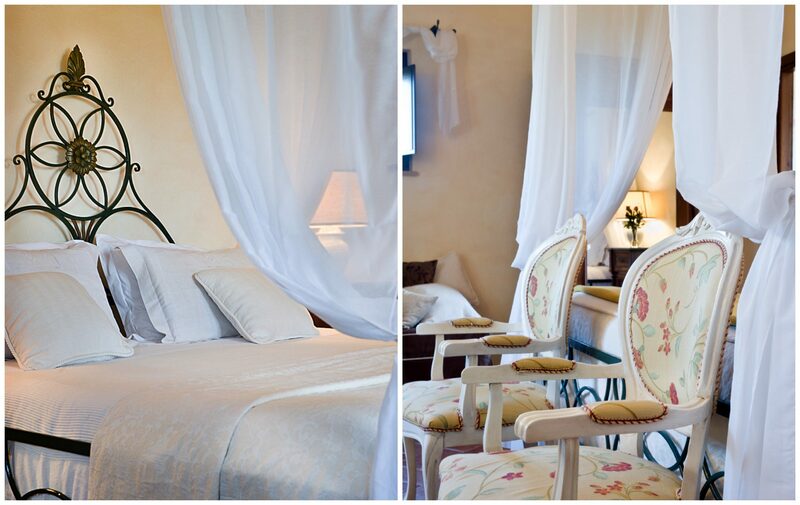 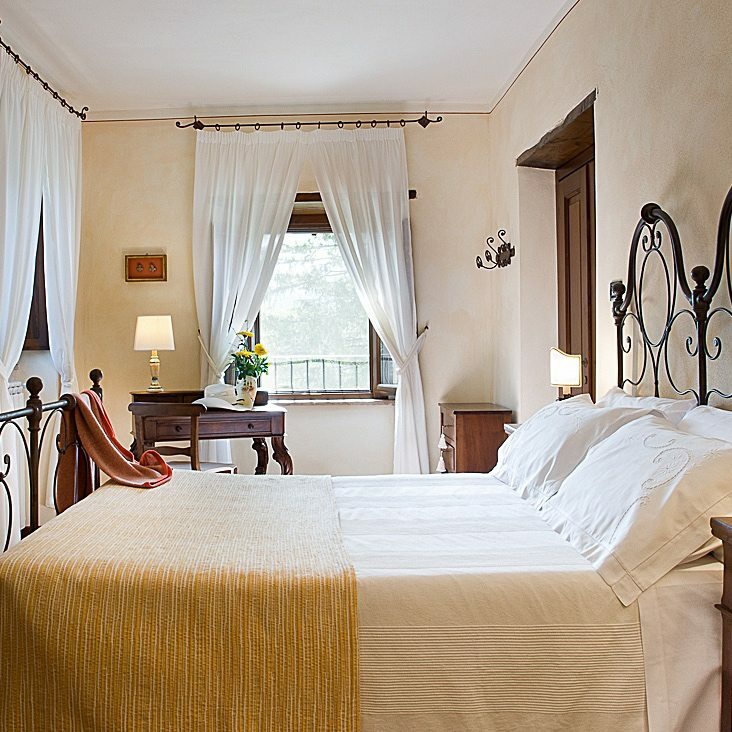 “Il Noceto” and “L’Aia” are charming and more intimate rooms, located on the second floor of the Villa. 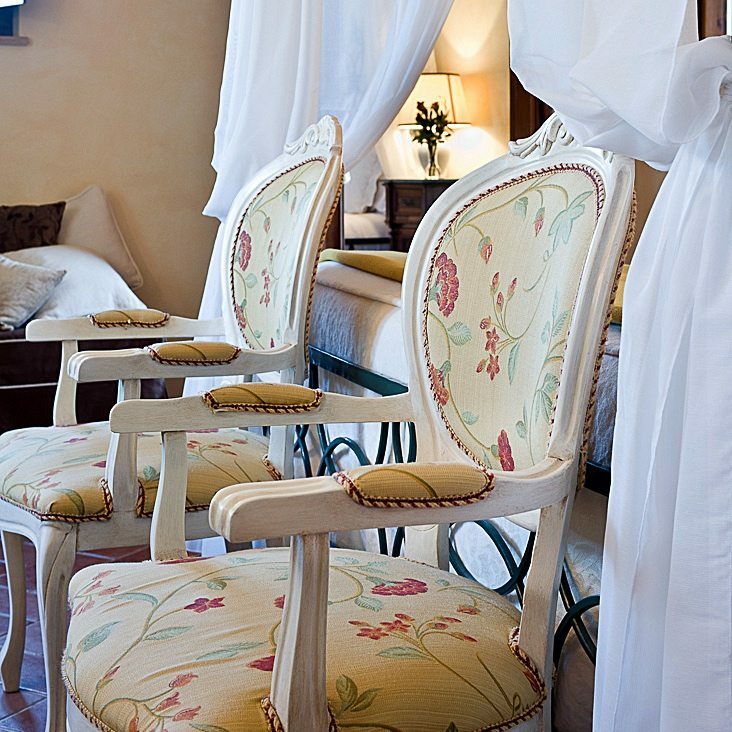 Each room is uniquely appointed and offers beautiful views of the surrounding gardens. 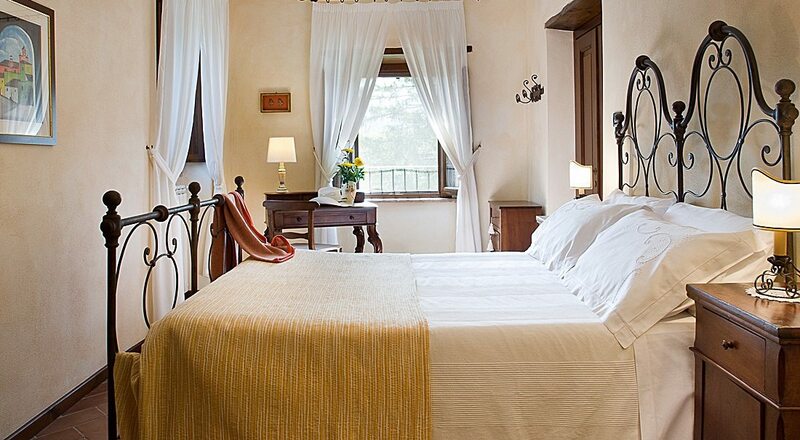 The rooms are very quiet and serene for a restful and relaxing stay. 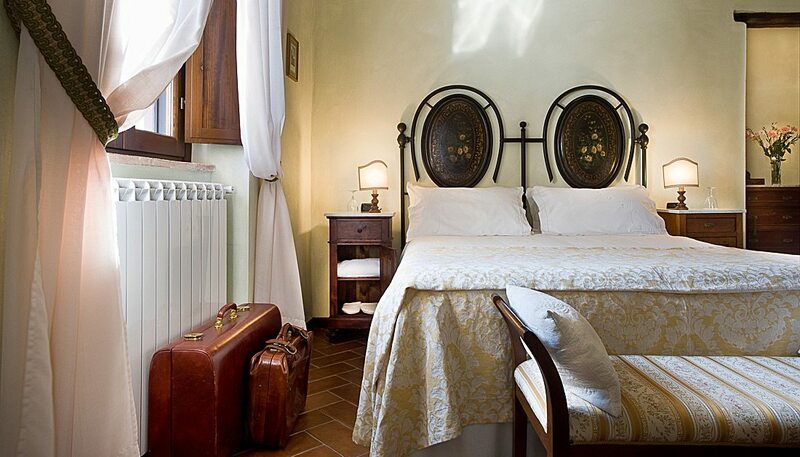 Both have A/C for the warmer months.